Shooting might sound as if it's going to be risky, but in fact it's one of the safest of all sports. We keep it that way by making safety fundamental to everything we do. When you go for your first shooting lesson your instructor will provide a simple safety briefing that covers everything you need to know. He or she will be supervising you closely throughout the lesson and will be happy to answer any questions, so you'll never be left wondering what to do. You'll notice that the gun is kept in its sleeve or case until you reach the shooting stand. When the instructor takes it from its sleeve the first thing he does is open it and check it's unloaded. It's safe habits like this that prevent accidents. The gun is never loaded until you are on the shooting stand and ready for the target. The barrels remain pointing down-range as you eject the empty cartridges and reload for the next shot. As soon as you finish shooting, the gun is opened, checked, and placed safely back in its sleeve. During your first shooting experience your instructor will look after all aspects of safety, but if you decide to take the sport further safe shooting and gun handling becomes your responsibility. You will need to know and observe a few golden rules that help to keep our sport's exemplary safety record. The CPSA has a range of leaflets that explain safety in more detail. These are available at registered clubs and grounds, or you can download the online versions here. The CPSA also trains and certifies safety officers and requires that every registered ground has a qualified Safety Officer on duty whenever shooting is taking place. There is some basic safety equipment you will be required to use while on the shooting ground, specifically to protect your hearing against the sound of the gun and to protect against the possibility of being hit by fragments of broken target. The sound of a gun firing is loud enough that repeated exposure could damage your hearing, so hearing protection is mandatory at clay grounds and shooting schools. When you are on the shooting stand, either shooting or watching, you must wear the hearing protection provided. This may be simple foam earplugs, or headphone style "muffs". 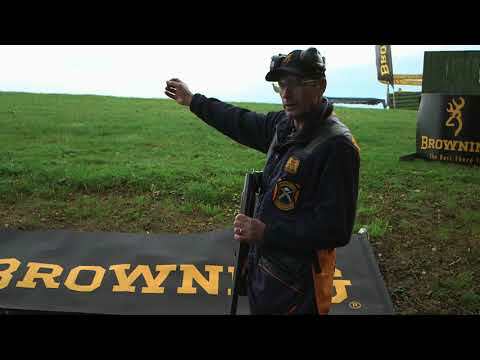 Regular clay shooters buy their own hearing protection and there are many types available - including electronic plugs that allow normal conversation while cutting down the sound of the gun. These can be moulded and cast into the precise shape of the ear making them comfortable to wear all day if necessary. The targets will be set to minimise the chance of any pieces falling on shooters or bystanders, but it's impossible to eliminate the risk entirely - so you will be required to wear suitable eye protection while on the shooting stand. This consists of a peaked hat or cap, and protective shooting glasses with toughened lenses in a wraparound style. These will be provided for you at your first lesson or have-a-go session, but if you decide to take up the sport you will want to buy your own. There are a huge variety of styles to choose from, with interchangeable lenses of different colours, which can help you see the target more clearly against distracting backgrounds. They can also incorporate prescription lenses so you don't need to wear one pair of glasses over another.